Pioneers in the industry, we offer frp anticorrosive lining from India. We as an FRP anticorrosive lining service provider have gained a significant appreciation in the market for the reason of our detailing and quality of the service. 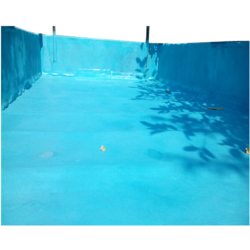 As the motive of this FRP lining is to impart notable corrosion resistance to the end product, we have employed proven quality FRP material and top of the line technology to acquire absolutely impeccable lining of the FRP. The excellent corrosion resistance attributes of FRP material, whilst the smooth and accurate FRP lining prevents MS tanks used for storage of chemicals from the corrosion and hence enables to withstand against corrosive chemicals together with high temperature effectively. Our FRP Anticorrosive Lining lining service can be availed at the genuine rates in the industries that assure for matchless performance. Our FRP anticorrosive lining service range incorporates FRP lining work service, FRP lining work, FRP tank lining works, chemical equipment FRP lining work, FRP chemical lining work and FRP lining job work, FRP Lining MS Service, FRP Lining To MS ANF Tank.